I'd prefer to say we have an improperly sized Gotenks, but I'm not one for optimism. It doesn't really bother me, because they DID get taller as Gotenks in the series, even if it wasn't THIS much taller. What I don't get is why his arms are less poseable than the young Gohan's are. 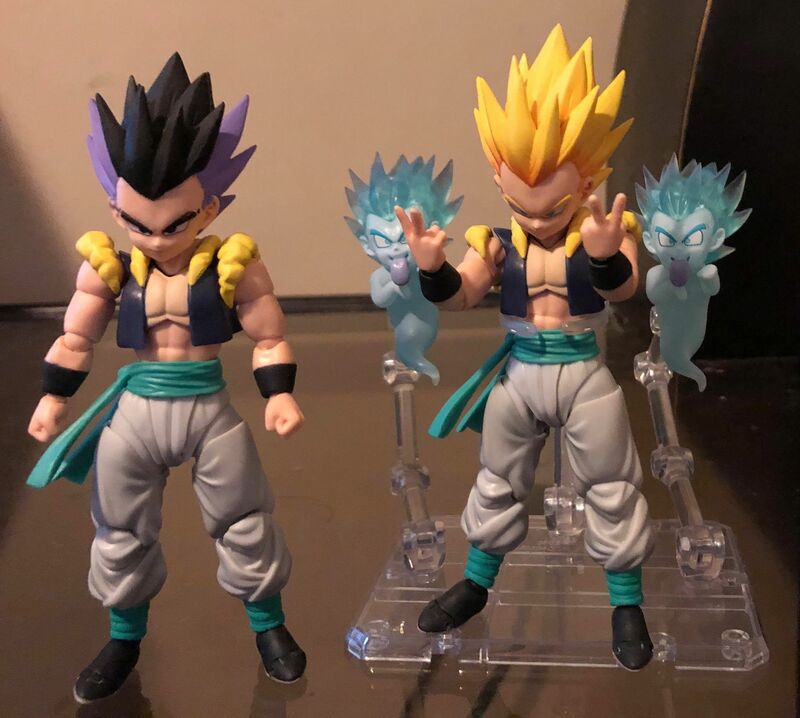 They're about the same size as figures, Gotenks is maybe a little more buff, it makes no sense to me why they couldn't make his arms double jointed. It's my only major gripe with the figure other than the lack of base head. I never even noticed the arm joint until you mentioned it. Im still holding on to hope for an "Exclusive" SSJ 3 Gotenks w/ base head and a "Fusion Reborn" exclusive Gogeta. 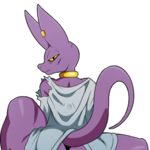 I would not be surprised to see base Gotenks and SSJ Gogeta as con exclusives next year or further in the future. base Gotenks wonder if demonical fit will create a ssj 3 head?? Just picked this up for $36, I'll post pictures when it arrives.